Europe has some of the most breath-taking coastal lines in the world. Chartering a boat and sailing it round Europe can be an ideal holiday as you sail crystal clear waters and captivating scenery. If you haven’t got a boat of your own, peer to peer websites will suggest yacht rental companies in the area you choose. This part of Europe, often hailed as the ‘New Greece’ and ‘New Riviera’ offers everything from historic villages to perfectly clear waters. With easy sailing paths and plenty of opportunities to stop and take in the sights in this beautiful part of the Adriatic coast. Take advantage of the array of islands that offer everything from the upmarket Hvar the tradition Vis islands and secluded Kornati and Elafiti. Croatia offers a traditional Europe feel and the backdrop of colossal mountains will leave you with lasting memories. Considered one of the most beautiful sailing destinations in Europe, this location has everything to offer. From glamorous Saint Tropez to the glitzy Cannes, sail through the worlds most revered sailing hubs. Take some nice looking clothes, pretend you are a celebrity and make the most of this glitzy location. Greece is well known for their hospitality, making this the perfect spot to take in a lively atmosphere. 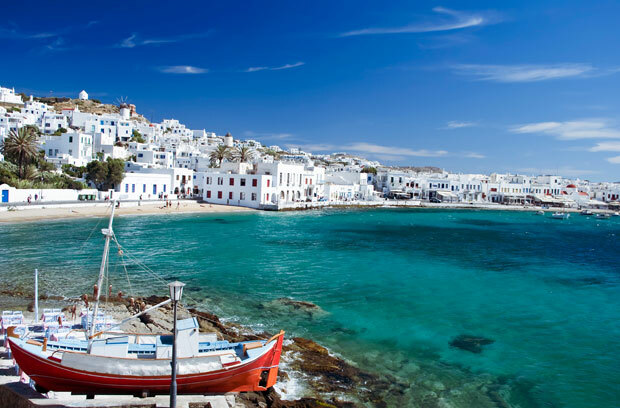 Along with perfect snorkelling spots and fantastic historical locations to visit, makes the Saronic islands ideal to experience warm European culture. The locations are also in short distance from one another, so there is no need for long sailing legs! Otherwise known as the Jurassic Coast, the UK features over 95 miles of ancient coastline with rock formations estimating at 185 million years old. The coast stretches from East Devon to Dorset and holds some of the country’s most fascinating sights such as Durdle Door, Lulworth cove and a range of historic villages. Take in the sight of sparkling blue waters, easy to sail passages and lively villages in this beautiful part of the country. Sail from Portisco to Coasta Smeralda and take in the breath taking sights of golden beaches, ideal for sun bathing and the clear waters, perfect for swimming. Known for popular holiday destinations such as Mallorca, Menorca and Formentara, the islands are ideal for a quiet get away. Take in the culture from the cluster of quant villages scattered across the islands and lie on the sun drenched beaches while the kids splash around in the turquoise sea. The Balearic Islands has something for every member of the family. With so many exciting destinations on offer, there is something for everyone. Contact a travel advisor, or ask an expert from your yacht rental service for more information on travel destinations. Always ensure that you are well equipped for travel however remember each Marina or port will be able to fully service your yacht for peace of mind. Harry Price is a free-lance writer and personal trainer. He enjoys guest blogging and travelling the country.